Our range of products include plate magnet, tube magnet, grate magnet and rotary magnet. Plate Magnet offered are designed to provide for easy installation in enclosed flow lines for effective removal of ferrous fines. Further, these are also suitable for removal of large pieces of tramp iron and can easily handle lumpy, powdery, moist as well as abrasive products that can cause rapid wear in cartridge-based separators. Widely use for separation of ferrous contaminants from various types of free-flowing material and liquid material it can be supplied in any size and shape and suit to customer requirement. It gives the very good performance when a material is actually passing through a plate. Tube Magnet or Bullet Magnet offered offer suitable option for conveying material using continuous process in a horizontal fashion. These feature aerodynamically shaped finish that is made available with solid stainless steel nose cone. This advanced design support helps in protecting machinery from damages resulting from tramp metal. These magnets are suitable for use in heavy duty large volume liquid/semi liquid line flow system. 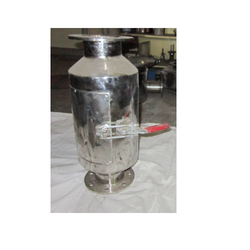 In this device there will be fixed magnet at the centre which will have bullet type shape. This type of design will help to pass material without reducing the flow or velocity of material at the same time all material passes through magnet. Very good conveying material through continuous process horizontally. Grate Magnet offered to come with easy to handle cleaning and operation support and feature zig zag multilayer design support that provides for maximum contact area. Made available in the free-flowing finish, these do not show tendencies for bridging between magnetic tubes and are also easy to operate as well as clean. These units are suitable for separation of iron/steel substances and find extensive use in chemical industry. It consists of S.S. Tube having dia of 28 mm, 32 mm and 38 mm with the permanent magnet to have strong magnet guess on the surface. 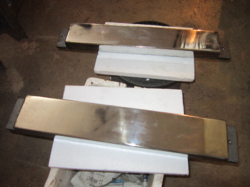 Magnet tubes can be put together to have magnet grill or drawer grill or drawer tube with S.S. Housing. Ideal when a material has got the tendency of free-flowing. 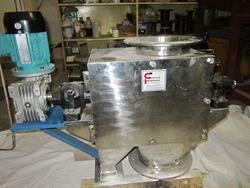 Easily operate and clean ferrous material. As staggered fixing of a magnet in the layer will give better contact of material to magnet Rods. Economically cheaper than another type of motor-driven magnetic system. Rotary Magnet offered are made available in motorized, cylindrical configuration comprising Rare Earth magnetic tubes that assist in providing continuous rotations through gravity-fed product stream. The presence of rotational design of magnet and unique splitter bars meet needs of breaking of product clumps as well as in keeping the flow moving through the housing. Further, the system also supports capturing any present ferrous metal contamination, thus adding to the purification of the product.